When it comes to picking out the perfect Christmas tree, many families love the experience of venturing through the fields or forest to find and cut their own special tree. If you feel like displaying a freshly-cut, local tree this year, then head to one of these 10 Christmas tree farms in Nebraska. Bennington Pines is an award-winning tree farm that offers families a fun outing each and every year. Along with cut-your-own Christmas trees, Bennington Pines also offers tractor rides, complimentary hot drinks, and other fun activities for visitors to enjoy. Pinecrest Tree Farm is one of the oldest and biggest tree farms in the state. Trees have been grown and sold on the farm for over 40 years and visitors can receive a free wagon ride through the field to pick out the perfect tree. Pinecrest Tree Farm will be stocked with trees from Thanksgiving weekend to December 22nd. Windmill Pines Tree Farm was founded in 1968 and one of their trees famously graced the rotunda of the Nebraska State Capitol Building in 2015. The farm has also been the supplier of trees for the governor’s office and governor’s mansion for the past few years. For a superior selection of pine and fir trees, make your way to Windmill Pines! For over 20 years, Frosty’s Pines, a family-run business, has planted, grown, and cut a variety of trees of all sizes. Located just north of Omaha, visitors can take their pick from thousands of trees on a sizely lot of land until they find the perfect one. Santa’s Woods is a family-run, choose-and-cut your own Christmas tree farm located just north of Omaha. With over 30,000 trees growing on the farm, visitors will have plenty to choose from. Santa’s Woods is full-service farm and can also cut and load your tree for you. Clover B Tree Farm is the top spot to pick out a freshly-cut Christmas tree in Southeast Nebraska. The farm grows a variety of fir and pine trees and also sells fresh wreaths. In addition to locally-grown trees, the farm also offers a variety of premium grade trees from other parts of the country. Pine Patch Tree Farm in Hastings offers freshly-cut firs, pines, and wreaths for all of your Christmas decorating needs. The cutting begins the day after Thanksgiving so you can be sure you’ll have a tree that stays fresh through the new year. At Nordstrom’s Tree Farm, you can take a fun ride out to the field and back for a freshly-cut tree. Located just outside of the metropolitan Omaha, Nordstrom’s Tree Farm is an extremely convenient way to start the Christmas season off right! 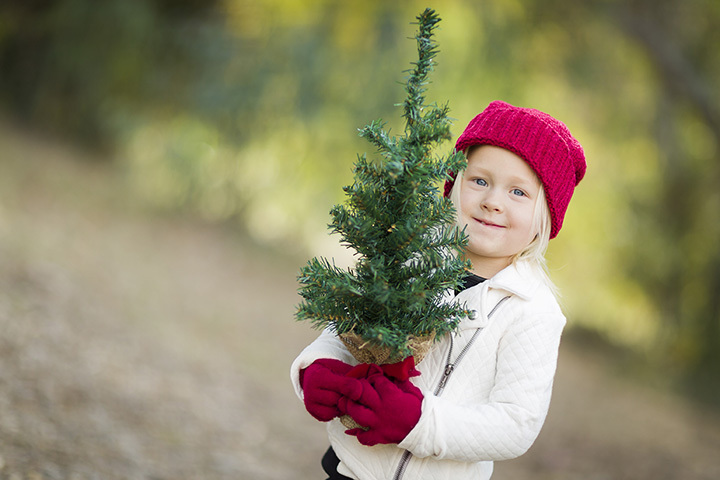 Select and cut your own Christmas tree at the Walnut Grove Tree Farm in Lincoln. Visitors can select from thousands of trees in the field, or from a selection of pre-cut trees at the main cabin. After picking the perfect tree, enjoy a complimentary cup of hot cocoa by the wood stove. Bryn Arddun Tree Farm is a mom-and-pop operation that offers a limited supply of Christmas trees every year. They offer a variety of pine and fir trees to choose from. If you’re looking for a rustic, more authentic tree to display in your home or office, this is your place. Your yearly holiday PSA: Buckle up your tree!